Blackout curtains and shades are most often used in bedrooms and media rooms where you want to eliminate any light from entering through the windows. However, most window coverings are room darkening and not truly blackout because the edge of the window covering creates a “halo effect” of light. If you want to prevent any light from entering to achieve a true blackout effect, you will need to cover the gaps to eliminate the “halo effect” from your windows by using a layered window treatment that combines blackout curtains with either roll shades, cell shades or blinds. Why Blackout and Room Darkening? 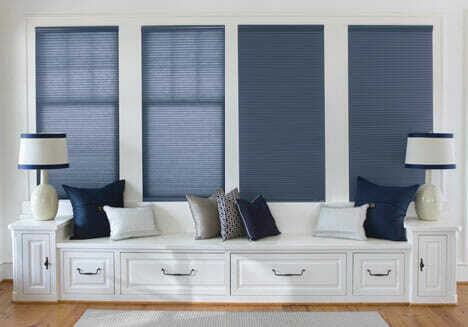 Why Choose Blackout Window Treatments? Window treatments and coverings offer various levels of light control and privacy. 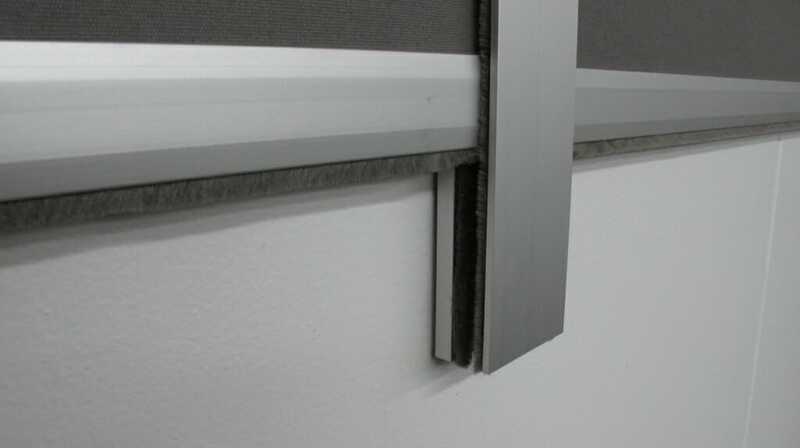 Blackout window treatments are designed to block all light from entering a room by using tight fitting mounts that block the most light. 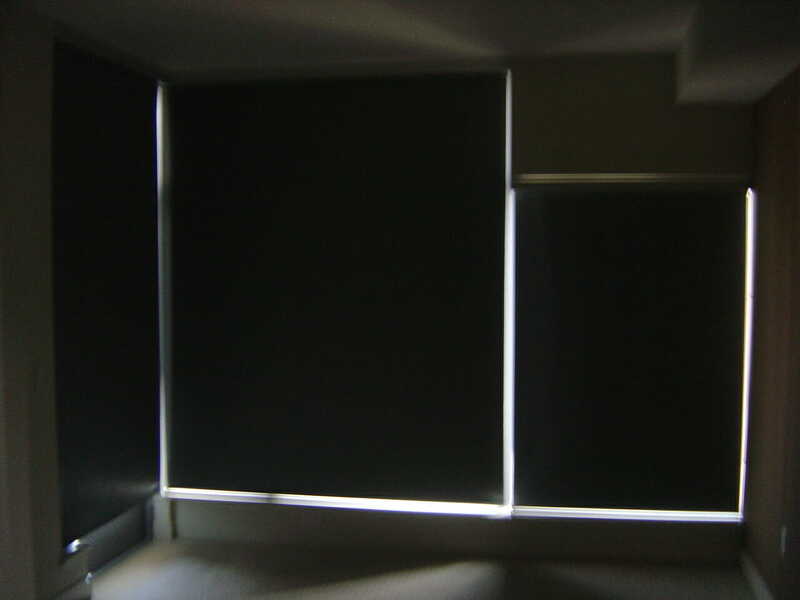 Blackout window treatments are associated with a good nights sleep, as multiple studies have showed that exposure to light while sleeping obstructs the quality of ones sleep. For people who work night shift, room-darkening solutions are a game changer as their quality of sleep is improved by creating the ambiance of night by eliminating exposure to natural daytime light. If you are looking to keep your energy use bills in check, the use of blackout window treatments will keep your house cool by keeping the heat out during summer months and reduce heat loss in the winter months. Your homes energy consumption can be reduced by as much as 25%. 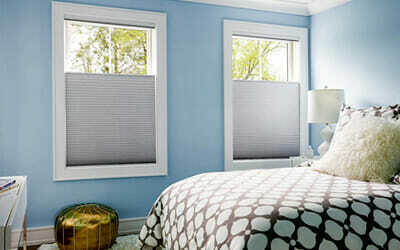 Another added value of blackout window treatments is ensuring your peace of mind with added security for your home. We offer solutions to increase the privacy of your home by ensuring that no one can see inside especially at night. There are essential elements needed to create a successful media room, which include selecting the right television or projector, comfortable seating, effective sound system and window treatments. Window treatments are often an overlooked item when designing a media room, but are crucial to blocking out external sounds and light for optimal viewing pleasure. Installing darkening/blackout window treatments will remove all light from casting a glare on the screen as well as add that decorative touch creating a movie theater feel in your own home. Shades work best in media rooms, as they provide a solid covering with no gaps thereby eliminating any light from seeping in. What are the best products for Blackout and Room Darkening Solutions? 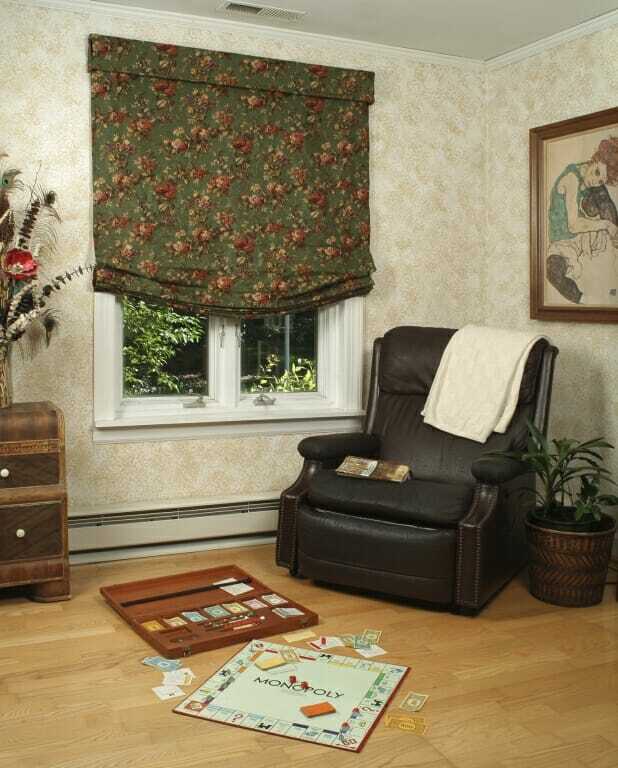 Personal taste as well as functionality will play a large part in selecting the best window treatments for your room. Multi-layer treatments that combine blackout curtains or roller shades with a top treatment that will eliminate the ‘halo effect’, is our preference for maximum light blocking. Room Darkening versus Blackout Shades – What are the differences? 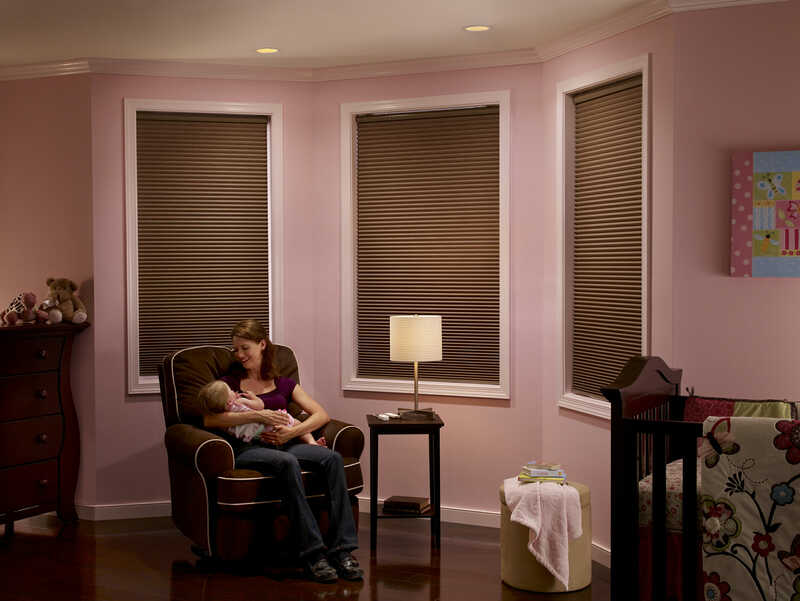 Room darkening shades are designed to reduce the amount of light entering a room. 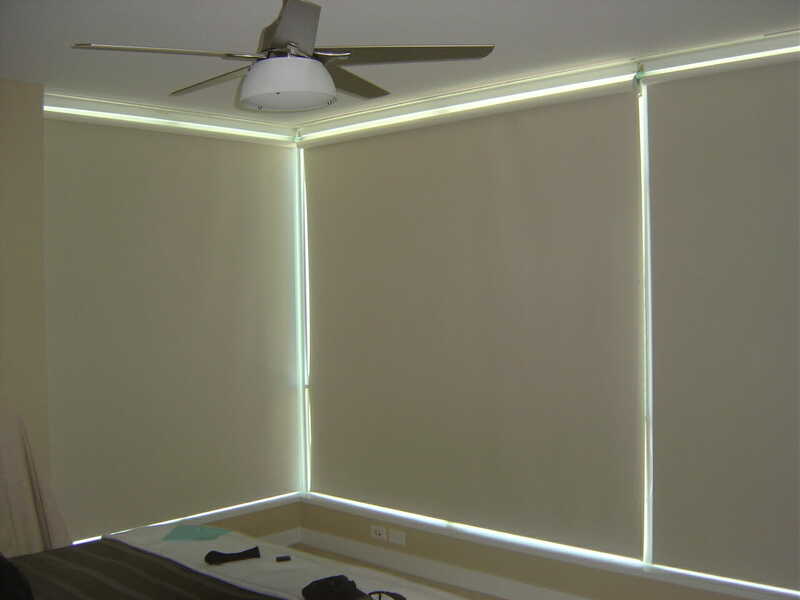 Theses shades are not designed for complete darkness, but they will eliminate almost all light. In contrast, blackout shades create complete darkness by minimizing any gaps that create the ‘halo effect’ of light coming through your windows. This is achieved by combining window treatments creating a layered effect that include blackout curtains with blinds, roll shades or cell shades. 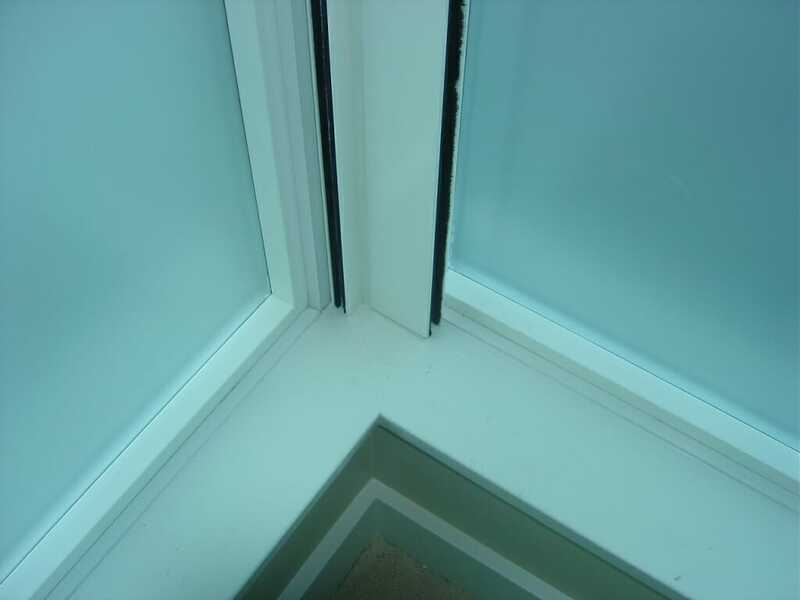 In order to achieve the maximum level of darkness, we recommend using layers as no single treatment will completely black out a room as light will seep in around the edges and at the top of the window. 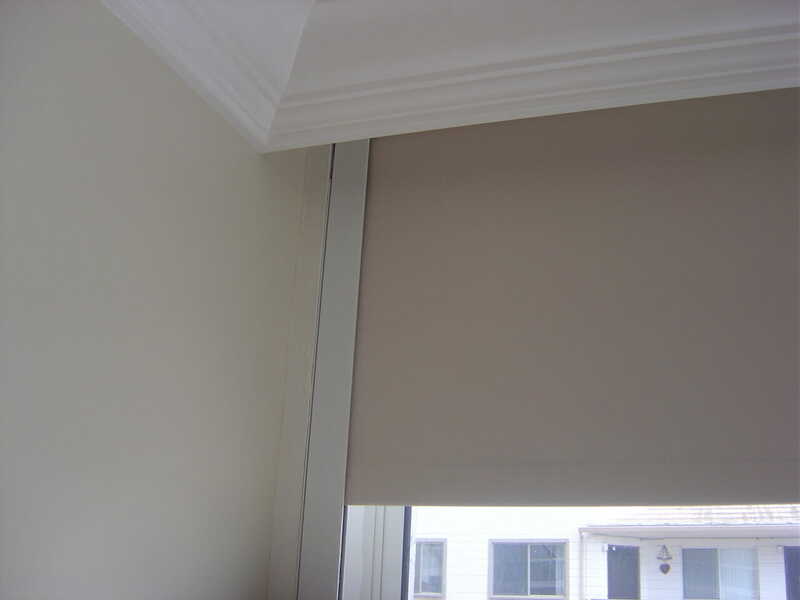 We recommend starting with a base layer such as a shade, blind or shutter, adding drapery topped with either an architectural or fabric cornice. 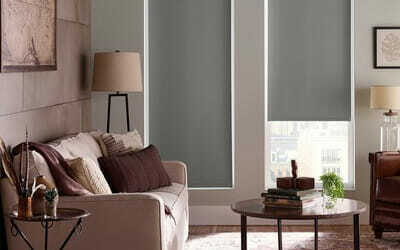 Three Blind Mice offers several combinations if you are looking to achieve the highest level of darkness in your room. Click to learn more about blackout shades. Click to learn more about blackout curtains. Schedule a free consultation today and let our experts help you find the perfect blackout window treatment solution. 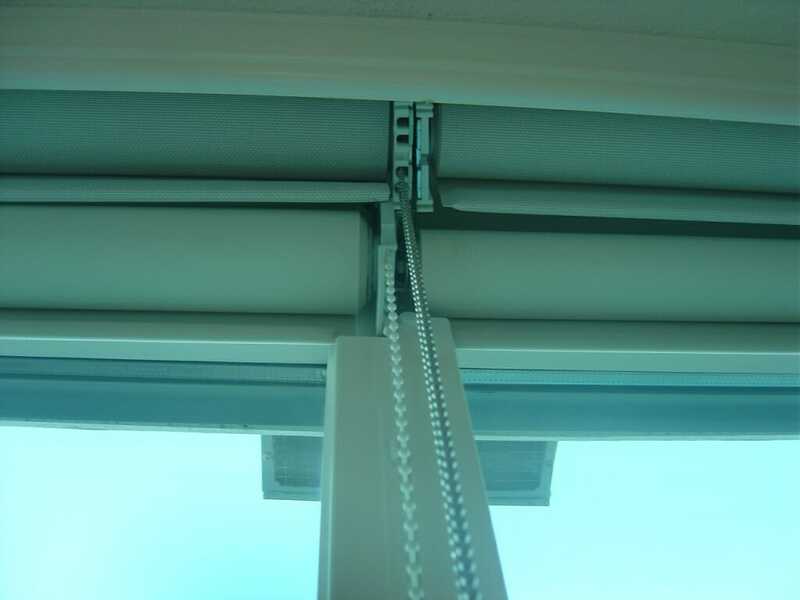 Roller shades with side channels are a great option to help you achieve complete blackout and are one of our favorites to motorize. The side channels, which are responsible for eliminating the “halo” effect, can be customized to suit your home’s decor and come in varieties of aluminum, bronze, and white. Today’s designer roller shades can also come in many different colors, fabrics, and patterns depending on your preference. 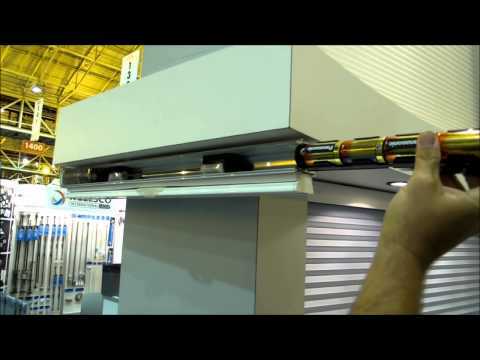 Watch a video demonstration of these motorized blackout roller shades with side channels in action. 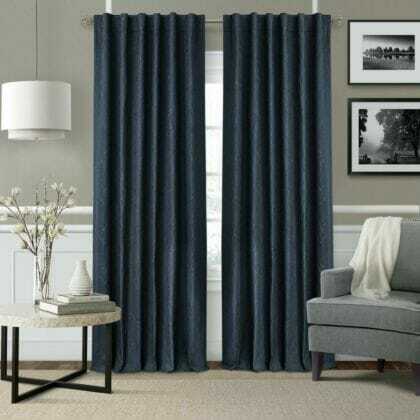 If you’re looking to completely darken your room but maintain elegance in your decor, using blackout curtains with motorized drapery tracks is a good option. Newer drapery tracks can curve around your curtains for an optimally dark room. And you have many options when it comes to motorizing these treatments or setting up a manual pull system. Please note, this demonstration shows a normal drapery fabric, not blackout curtains. One final way to eliminate the “halo” around the edges of light-filtering & room darkening window treatments is to create a multi-layer treatment that combines blackout curtains or roller shades with an additional window treatment to stop the light at the edges. 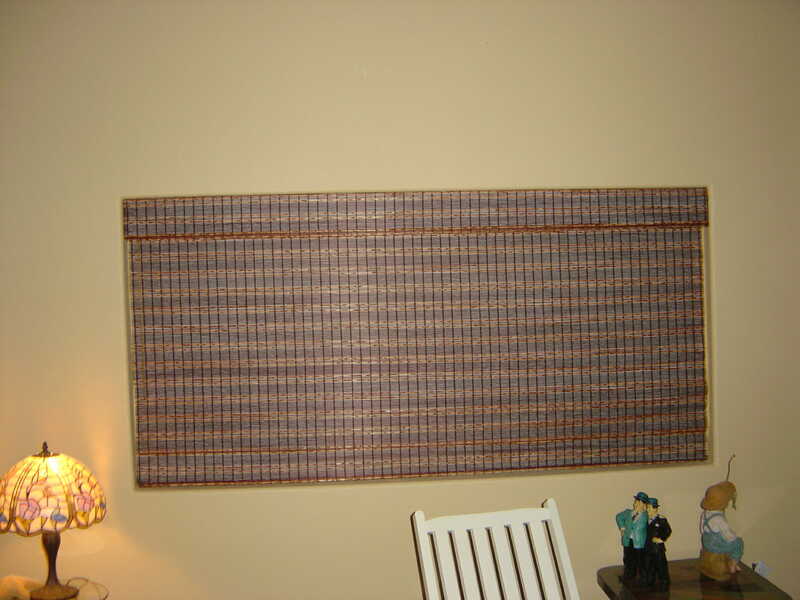 One of our favorite combinations is to use roller shades with a valance/top treatment, and side panels. As shown in this video, beading is used to add extra elegance to your window coverings. In the video below, you can see Coulisse’s Dual Roller Shade allows you to control light similar to a wood blind or sheer shade while giving you the clean look of a roller shade. As you will notice the bottom rail and head rail are finished with a nice nickle finish and square lines. This product can be motorized or it does come in a manual operation.